- Maintenance Hints: Ideally, there are many good sources to obtain effective maintenance tips for your car tires. Some of them include websites, via car professional mechanics in addition to your vehicle user manual. But the choice lies on you to go for a good source, read and be attentive to good instructions. 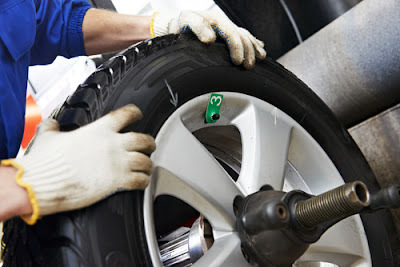 - Tire balancing: Obviously, your wheel hub will be suitably fixed at your mechanics place. Do not hesitate to ask your mechanics reasonable question related to your wheel tire balancing and also allow him/her to thoroughly examine all major parts. - Periodic alignment: One of the essential parts of maintaining your tire is to subject it to timely wheel alignment. In fact, tire alignment is very vital for the vehicle to run straight and smooth. Better still; it assists in retaining the tread wear in addition to the highly precise steering capability and sound suspension. - Inflation of tires as recommended: Essentially, you must always endeavor to examine car tire pressure very often particularly before proceeding on any long trips. Ideally, you are expected to check your car tires at least once monthly. As a matter of fact, inflating tires appropriately highly contributes to the safety of any vehicle. It is noteworthy to state that low tire pressure contains tread wear and also minimizes the lifespan of such tire. The simple reason is that too much heat is been generated by barely inflated tires. On the other hand, extremely inflated tires also have an adverse effect on car tires and then reduce their useful life. It is recommended to always maintain very effective air gauge in the car. It is also expected that you have good idea of pressure most suitable for your type of tire. Go through the user manual for better understanding or even visit the producer's websites. If you have your way, you can even apply an air gauge of good standard in order to obtain the best outcome. - Regular rotation of tire: Due to the irregularity in weight distribution of the car, it is very important to always rotate the car tires in order to ensure the even tread wear. This could be done manually. The best guide is in 6000 out of every 8000 miles of running. Make sure you follow all the instructions stated above with care in order to ensure long life span and your personal safety. It can pay dividends, literally, to keep your car's tires in good shape. 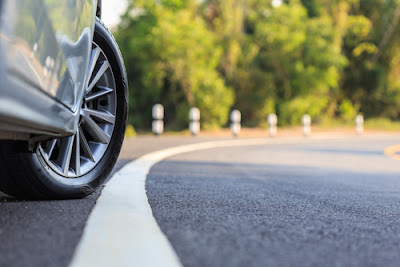 If you don't make sure that your car's tires have the proper air pressure, are rotated regularly and in good alignment, then you harm your car's fuel efficiency. Given the way fuel prices are, that can add up pretty quickly. So, learn what you need to do to keep your four rubber tires working their best to keep your fuel bill to a minimum, and get the added benefit of doing your part to protect the environment. One of the easiest things related to tire maintenance to keep under control is inflation. Your tires have to have a certain amount of air pressure to work properly, and you need to check them every so often to see if they are in the proper range. Each pound of pressure that your tires are under inflated will cost you .4% of your fuel economy, so make sure that your tires are properly inflated! If you don't know what the proper PSI of your tires are, you will be able to find one listed in your glove compartment. Also, make sure that all your tires are evenly inflated. Unevenly inflated tires will lessen fuel efficiency almost as much as under inflated tires. Make sure that you keep track of your tires' pressure. It's as easy as checking a gauge every now and then, so do it. 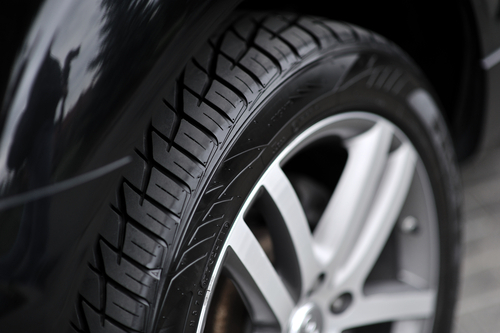 During the colder winter months, you will have to pay special heed to your tires' pressure. That is because as the air cools, the air pressure in your tires will drop. In fact, it is one pound of pressure for every 10 degrees Fahrenheit. So, during the winter, you will likely have to add a bit of air during the colder months, which in turn will help your tires cut through the slushy, snowy muck that can form them. Keeping your tires properly rotated can also greatly improve your fuel economy. Tire rotation ensures that no one area of your tires gets excessive wear. If you are not sure of the right way to rotate your tires, check your car's owner's manual. You should have your tires rotated twice per year. When you are ready for a replacement tire, make sure that you purchase the right tire for your car. Check your owner's manual for the right size and type. Desirable characteristics for fuel efficiency include low rolling resistance, and long tire life. When you are purchasing your tires, tell the dealer that you are interested in maximizing fuel economy, and they will help you choose the right tire to do so. Finally, make sure that your car's tires are all correctly in alignment. This needs to be checked once every year; probably one of the times you have your tires rotated. Tires that are misaligned do not roll freely, and so will consume more fuel, shorten your tires' lifespan, and also impede a vehicle's handling ability. Also remember that poorly kept tires can be a safety hazard. Racing slicks are good for a track, but not a wet road. Saving fuel money may also save your life.